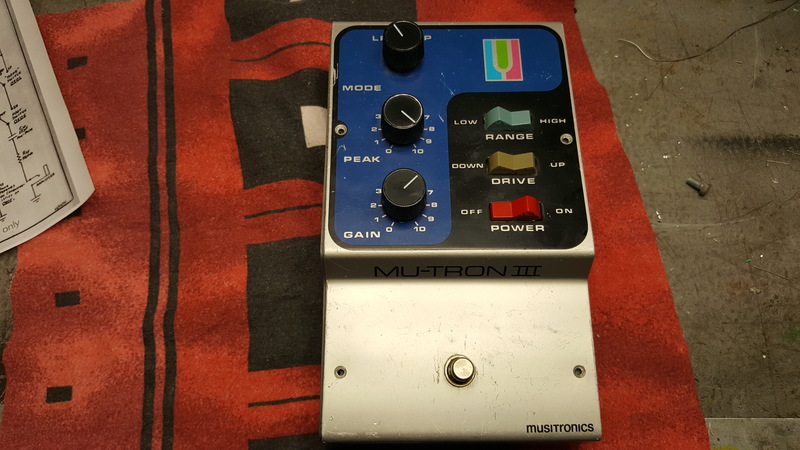 Got on old Mu-tron III in for repair. It appears not to be tinkered with before. 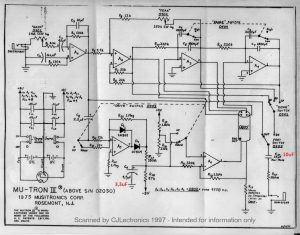 As I got it up I realized there’s some difference as compared to the schematics circulating the web. 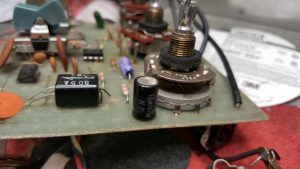 I found two caps that differs from the schematics. 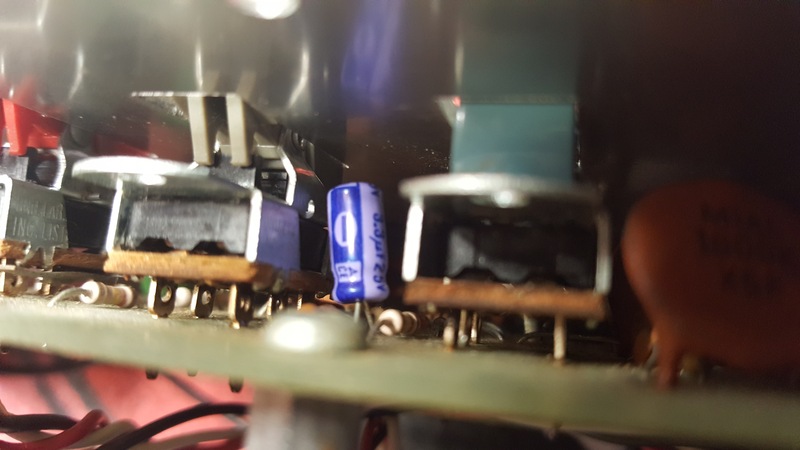 The 4,7uF capacitor in the drive section for the led is actually a 3,3uF in this unit. The 15uF nonpolar cap at the output is 10uF. 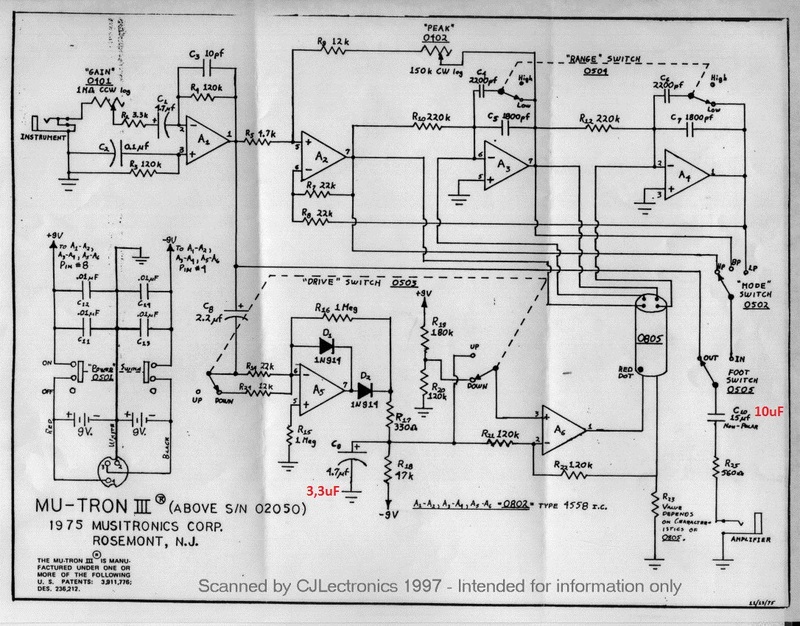 Looking at the schematic you can see them where I made notes about values in red text. Turned out the rocker switches for range and drive did not work as they should. Some cleaning sorted that out.